"Vote for Measure A" flyers in the car line. Sign-up below and wear your favorite FA T-shirt or a blue shirt if you do not have a FA T-shirt ! We are only asking for 15-30 minutes of your time which could translate into helping us make sure that every eligible parent votes on March 7th and that Measure A passes! We need a 2/3 vote to pass, so every vote is critical! Thank you to those of you who have volunteered at the phone banks, put up a Vote Yes on Measure A Lawn Sign, done Precinct Walks, and have already mailed in your ballot! We appreciate your support! 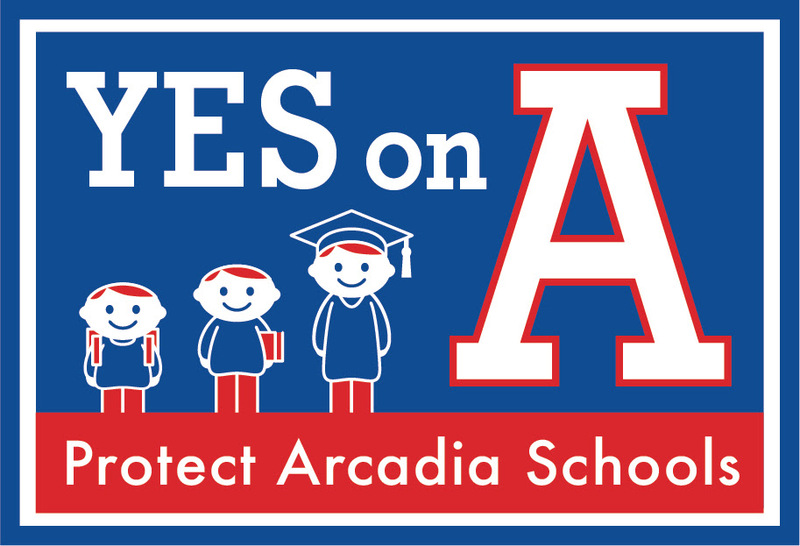 Please talk to your friends and neighbors and ask them to support Arcadia Schools by voting "YES" on Measure A! We are coming into the final stretch of our campaign, and many of you have asked what you can do to help us win! Measure A requires a 2/3 vote to pass! Without Measure A's passage, Arcadia USD will lose more than $3 million a year, which would mean deep budget cuts, including teacher reductions and the loss of key academic programs. Today, February 28 is the last day to request a vote-by-mail ballot. Click here if you would like to request a vote-by-mail ballot to vote Yes on A. If you have your ballot, please vote Yes on A, seal, sign and stamp your envelope and send it back right away. Ballots must be postmarked on or before Election Day, March 7. Thank you for helping us spread the word on why Measure A is critical to protecting our great schools and the future of our students.